Like most people, Richard and David were initially unsure about what to make of these ‘coincidences’. After all, events don’t “consult the odds” prior to happening; they simply happen. Then someone comes along later and figures out what the odds of it happening were. Some of the deaths seemed purely coincidental; heart attacks, hunting accidents. Others clearly seemed noteworthy; witnesses who did seem to know something and did seem to die mysteriously. 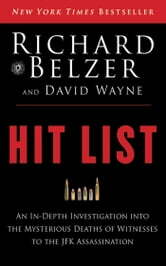 Hit List is a fair examination of the evidence of each case, leading to (necessarily) different conclusions. The findings were absolutely staggering; as some cases were clearly linked to a “clean-up operation” after the murder of President Kennedy, while others were the result of ‘other forces’. 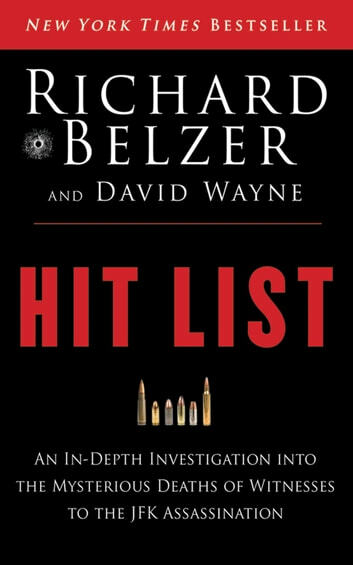 The impeccable research and writing of Richard Belzer and David Wayne show that if the government is trying to hide anything, they’re the duo who will uncover it.